Across the Asian continent just 30,000 Asian elephants remain. The Asian elephant is officially an endangered species. Currently in Thailand there is estimated to be 3000 – 4000 elephants, of which half are domesticated and half live in the national parks. At the start of the 20th century, over 100,000 roamed the lush country of Thailand- which shows their significant decline and the desperate need for elephant protection. Human population vs elephant population. With the growth of humankind comes the need for space and resources. In every instance, humans will come first, and the elephant population is continually displaced. Business expansion. It is important for all the world’s economies to continue to grow. When faced with a decision of allocating land to an expanding business venture or farm, the elephant population will lose out. Thailand is a quickly developing country, and that means that space is paramount. Much more space is being allocated to new business than can be allocated to elephant protection and national parks. Illegal activity. Despite huge media campaigns, the desire for an elephant’s ivory or skin is simply too much for some people to bear. There is even a school of thought that Asian elephants can offer something of an aphrodisiac, which means big money for the poaching industry. Sport. It may seem unheard of, but many elephants die each year on staged hunting trips. 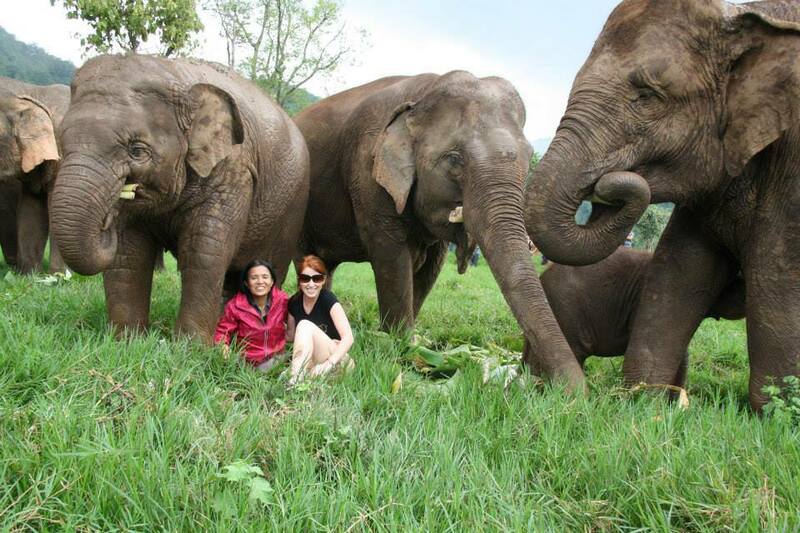 Tourism plays a huge part both in the protection as well as the destruction of elephants. Many facilities will protect and care for the elephants in their charge; others will see them simply as money making machines. It is important to fully research your options before visiting Thailand to ensure that what you do helps to promote elephant protection, rather than be detrimental to this essential cause. Many domesticated elephants are tragically kept in appalling conditions. Approximately 300 domesticated elephants live in the country’s busiest city, Bangkok. Seen often as money makers, they are forced to beg and to entertain passing tourists. Asian elephants require 200 – 300kg of food and 100 – 200 litres of water each day, and few will ever receive the full amount of nourishment living in the city. These elephants quickly suffer from stress through polluted air, poor diet, dehydration and loneliness. Most of the food that they beg for is unsuitable for elephants due to the chemicals used on them, and after serious stomach issues can often lead to death. You can volunteer with rescued elephants in Thailand to be able to help give life back to elephants rescued from this awful fate. For more information about volunteering with elephants in Thailand, see our elephant protection webpage. Previous Post Leatherback turtle nested on the Paradise Beach project!